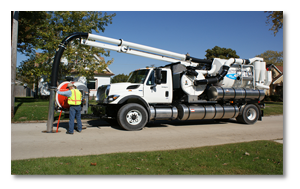 Haaker Equipment Company strives to address the street sweeper and Vactor truck rental needs of our valuable clients, like you. With over four decades of experience in serving the changing and diverse needs of our customers, we know how to get precisely what you need—be that rental equipment or top-of-the-line Vactor trucks. We continue to be the contractor, industrial and municipal sectors’ trusted partner because we don’t only supply equipment and parts of the highest caliber, but we also deliver the customer satisfaction we guarantee. 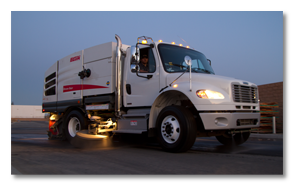 An esteemed provider of rental equipment for the West Coast’s Vactor truck and street sweeper needs, Haaker Equipment Company lends you our reliable fleet of sewer cleaners and street sweepers. Rent our equipment on a monthly, weekly, or daily basis, and use them anywhere in the USA. Let us help you make a choice that can get you the best value for your money today. Whether you’re looking for top-quality Vactor or Elgin equipment rentals, call us now at 1-800-200-3432 so we can help you find the best options to suit your needs. Haaker Equipment Company is recognized as one of the best rental Vactor dealers on the West Coast, and we maintain a very large fleet of rental Vactor combination sewer cleaners to meet your needs. 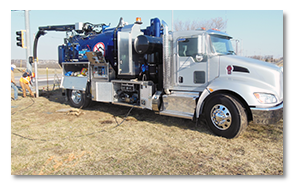 If you are looking for daily, weekly or monthly rental sewer cleaning trucks, we have an option for you. Our vacuum trucks come outfitted with up to 1,000 ft hose reels and hydro excavation kits to serve all your needs. We can rent you a sewer cleaner or a rental Vactor sewer truck anywhere in the United States. If you are looking for the best rental Vactor, give us a call today to learn more! Haaker Equipment Company is proud to have a large fleet of Elgin street sweeper rentals to help with all your needs. We can help your municipality or contract sweeping application with the very best Elgin sweeper rentals. If your needs are daily, weekly or monthly rentals we have an option for you. Our fleet of rental Elgin sweepers includes both the rental Crosswind Air sweeper and the Broom Bear rental broom sweeper for construction sweeping. We can provide you a rental vacuum sweeper, rental road sweeper or rental street sweeper anywhere in the United States. When you want the best rental Elgin Street Sweepers, give us a call today to learn more! Having the right hydro excavation equipment is crucial to reaching delicate and fragile under-ground structures. Hydro excavators use water to do the digging for you; hydro vac excavation avoids the possibility of cutting through electrical lines or pipes. Our hydro excavation water trucks come equipped with water heaters and produces high pressure low volume streams to quickly and safely dig. When you incorporate high pressure, low volume streams achieve maximum efficiency by clearing dirt and debris while using the least amount of water. Hydro excavation equipment is safe for operators and friendly for the environment, unlike traditional excavation tools that have been used in the past. Liability and Property Damage Coverage of $1,000,000.00. Comprehensive and Collision Coverage with a Maximum of $1,000 Deductible. Unit serial# and /or chassis VIN# or a phrase stating “All Leased/Rented Equipment from Haaker Equipment” MUST be listed on the certificate. If you are interested in our street sweeper and Vactor truck rental services, please do not hesitate to get in touch with us by visiting our Contact page and filling out the form. We are proud to serve areas within all of California and Nevada, as well as the city of Phoenix, Arizona.